January 7: 5 POWER Lessons From 5 Leaders Who Made History On This DAY! Not everyone who succeeded in life just reached there with success after success. Infact, all those achievers are remembered for the amount of challenges they were thrown upon and the way they handles each hurdle. They stand as an example for the unstoppable passion they lived with. Here we bring to lessons from 5 such leaders from our history, who bring unlimited inspiration, even today, through the way they lived their lives. One of the great melodists of the twentieth century, Francis Poulenc was largely self-taught as a composer. 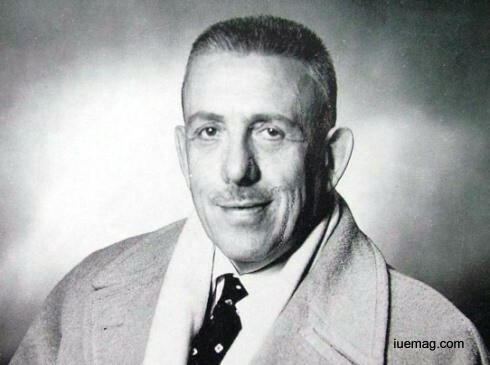 Born into a wealthy household, although his mother was supportive of his music interests, Poulenc’s father was more interested in his academics and hence, he never attended any music lessons and never attended the conservatory. Luckily for Poulenc, he lived in Paris which was the hub of ‘avant-garde’ movements of different forms of arts and unique artists. With no formal classes in composition, he learned the subject mostly on his own. Poulenc said, “Mon canon, c’est l’instinct”, which meant, “My model is my instinct”; which was exactly how he composed his music. He was known to be a very eccentric and completely unconventional man, and these traits showed in the music he composed. Poulenc was a part of the ‘Les Six’, which was a name given by a critic to a set of six different composers. Originally, his music was fun and light hearted but, after he witnessed the death of a friend, his work began to get more serious with a lot of brevity. He was considered as one of the most important composers of the pre-World War II era. He composed his music throughout the war and included many patriotic themes in his works. Various festivals such as ‘Academie Poulen de Tours’, ‘Journee de Bagnols-en-Foret’ and ‘Anost’ celebrated his music on a wide scale, annually. Such was the impact of this great composer, who gave us a potpourri of lyrical melodies and other popular genres that, it defined the course of complex music for years to come. 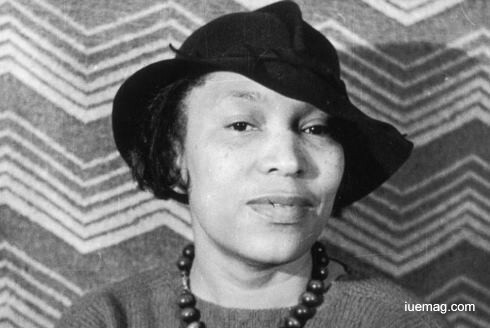 When Zora Neale Hurston was born, African-American women faced restrictions and unfair treatment that limited their opportunities. But Hurston was too driven, intelligent and resourceful to be held back, she took the few opportunities she had. Hurston always wanted to get an education, but her father stopped paying her school bills. By 1917, Hurston decided school couldn't wait any longer. She was in Maryland, where youth aged 20 and under were eligible for free public school classes, but she was 26. Hurston began to tell people that she was 16 instead. This allowed her to attend night school, the first step on a path that would take her to Howard University, Barnard College and beyond. To support herself and finance her efforts to get an education, Hurston worked a variety of jobs, including as a maid for an actress. In 1920, Hurston earned an associate degree from Howard. She published one of her earliest works in the university's newspaper. A few years later, she moved to New York City's Harlem neighbourhood, where she became a fixture in the area's thriving art scene. She spent some time collecting folklore and stories from Latin America, the Caribbean and the South, and brought them out in her book ‘Mules and Men’. This way she recorded tales of various traditions, including the African-American culture that she herself belonged to. Her illustrious career spanned over a period of thirty years. Though very social, the novelist was equally dedicated to her work. In September 1937, Zora Neale Hurston published her greatest work ‘Their Eyes Were Watching God’, which has been included in the list of 100 best English-language novels published since 1923, by Time Magazine. 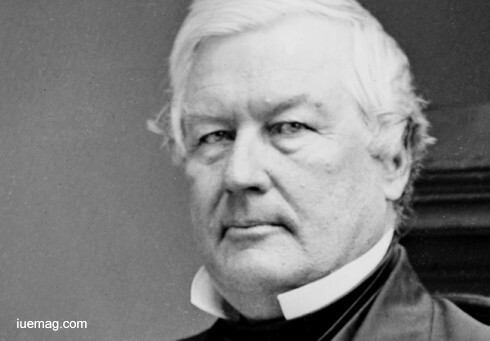 Born into desperate poverty at the dawn of the nineteenth century, Millard Fillmore climbed to the highest office in the land and inherited a nation breaking into fragments over the question of slavery. He was the 13th President of the United States and was the last Whig president. Fillmore was born into an impoverished family, whose small farm in upstate Cayuga County, New York, could not support them, and Fillmore's father apprenticed him to a cloth-maker, a brutal apprenticeship that stopped just short of slavery. Fillmore taught himself to read, stealing books on occasion, and finally managed to borrow thirty dollars and pay his obligation to the cloth-maker. Free, he walked one hundred miles to get back home to his family. He was obsessed with educating himself, pored over every book he could get his hands on and attended school in a nearby town. After Fillmore received a clerkship with a local judge, he began to court Abigail Powers. A lawyer by profession, Fillmore served in the state legislature as a U.S. Representative. He went on to become the first New York State Comptroller elected by general ballot. He enjoyed great success as a politician, and was nominated by the Whig Party and was elected the Vice President with President Zachary Taylor in 1848. President Taylor died suddenly in 1850, plunging the nation into political chaos. Fillmore took over the reigns as the president and attempted to restore political stability. Fillmore supported the protective tariff and eliminating the slave trade between the states. In his rise from a log cabin to wealth and the White House, Millard Fillmore demonstrated that through methodical industry and some competence, an uninspiring man could make the American dream come true. 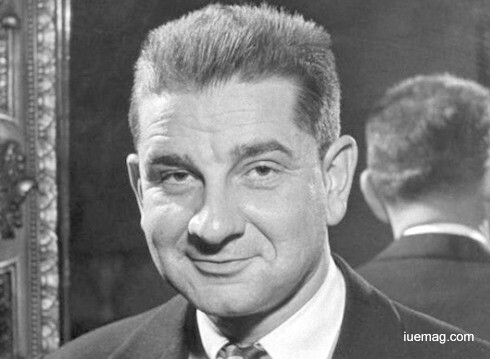 Renowned as the master of black humour, Charles Addams drawings, known mostly through The New Yorker magazine, was the creator of ‘The Addams Family’, a fictional household. Addams, whose father had originally studied to be an architect, was encouraged to draw at a young age. He enrolled at the Grand Central School of Art, where he remained for just a year. In 1935, he was hired by The New Yorker as a regular cartoonist. The pay was modest—just $35 per cartoon—but the magazine allowed Addams to explore his voice and imagination as well as hone the dark humour that would come to define his work. His cartoons began to attract considerable popular attention about 1940. Addams became famous for his ironic depictions of morbid or inexplicable behaviour by sinister-looking individuals. After a three-year stint in the U.S. Army in the early 1940s, Addams returned to New York, where his work was widely received, from a variety of fans. Addams's mind went to dark, ghoulish places, where a very few cartoonists would allow themselves to venture. His popularity extended to some of the biggest names in Hollywood. By the early 1980s, Addams's work had comprised 12 book collections and been exhibited at institutions like the Fogg Art Museum, the Metropolitan Museum of Art, and the Rhode Island School of Design, as well as many others. Among his many honours over the course of his lifetime, Addams won the Humuor Award from Yale, an honorary doctorate from the University of Pennsylvania, as well as a special award from the Mystery Writers of America. Alberto Aguilera Valadez, better known by his stage name Juan Gabriel, was a Mexican singer and songwriter known for his flamboyant style, which broke barriers within the Latin music market. The youngest of ten children, his father died before he was born; his mother subsequently went to work as a housekeeper in Juarez, Chihuahua. At the age of five Gabriel went to live in a boarding school, not the happiest of circumstances for a young child. Gabriel found solace in music and wrote his first song when he was 13 years old. That was the same year that he left the school and began making his living as a carpenter. Soon after, he began singing in local Juarez clubs under the name of Adan Luna. In 1971, Gabriel secured a recording contract with RCA Records (now BMG). It was that same year that Gabriel wrote and recorded the first hit of his career, “No Tengo Dinero,” and started on the road to stardom. In the next 15 years, Juan Gabriel’s fame grew as he recorded 15 albums, sold 20 million records. While Gabriel was always a popular performer, it was his work as a composer that truly stood out. His compositions were recorded by many other singers and include hits such as “Yo No Se Que Me Paso,” and many more. 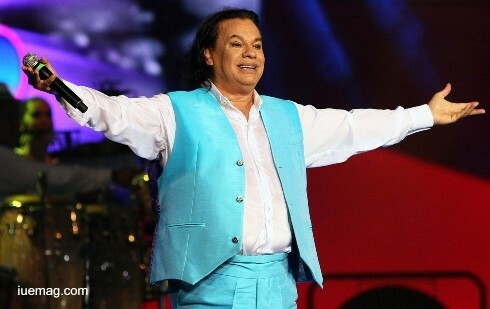 Having sold over 100 million copies worldwide, Juan Gabriel was among Latin America's best-selling singer-songwriters. His nineteenth studio album, Recuerdos, Vol. II, holds the distinction of being the best-selling album of all time in Mexico, with over eight million copies sold. During his career, Juan Gabriel wrote around 1,800 songs; quite a triumph for a man untrained in music. Any facts, figures or references stated here are made by the author & don't reflect the endorsement of iU at all times unless otherwise drafted by official staff at iU. This article was first published here on 7th January 2017.